Skip navigationDirekt zur Navigation von "Center for Languages and Intercultural Communication"
A big welcome to all international students studying at Augsburg University of Applied Sciences and to exchange students on the Erasmus program spending a semester with us! 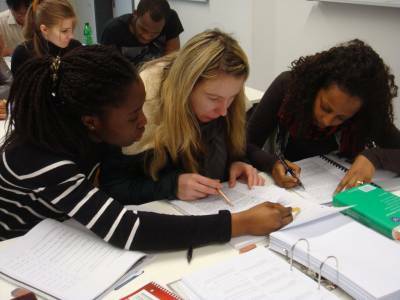 We offer German langauge courses on different levels for all learners of German. All of our German language courses are GRE (general required electives) and are awarded with 2 or 4 ECTS credit points. Which German langauge course do we offer? You are an exchange student spending one or two semesters with us? You would like to learn the basics of the German language or refresh your German language skills? Choose one of our general German language courses on the levels A1.1, A1.2, A2.1, A2.2, B1.1 and B1.2. 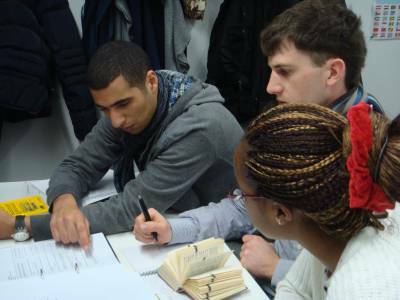 If you are an advanced learner of German on level B2 or C1 and want to improve your German, choose one of our in-depth courses focussing on German language skills for academic purposes and for your career. How can I enroll for German language courses? Enroll online for all German language courses through the online registration system of the Faculty for Liberal Arts and Sciences. Enrollment for the winter semester will be activated at the end of September and for the summer semester at the beginning of March.